Behind every successful young person is at least one outstanding and unforgettable educator. inspire us to pursue our dreams. In 1996, Mario Pastega established the Golden Apple Awards to recognize exceptional Corvallis School District staff. 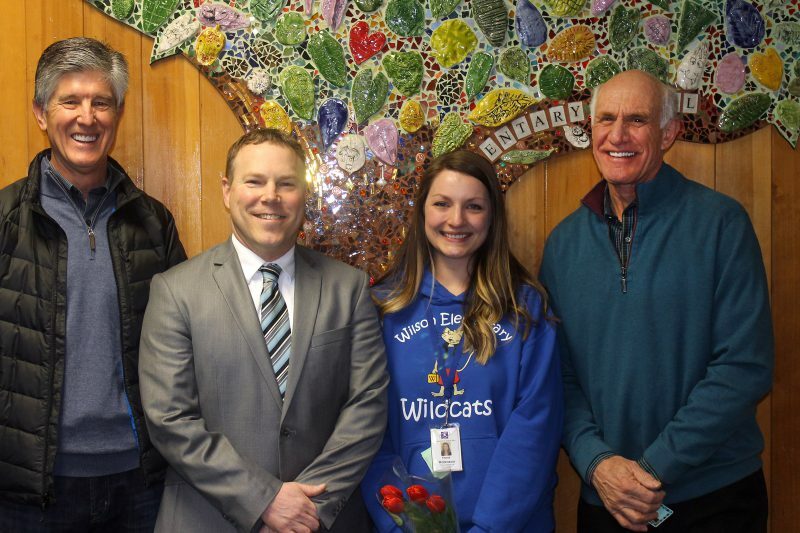 Each year CPSF awards four Mario and Alma Pastega Golden Apple Awards to four teachers and one classified staff person. Golden Apple Award winners receive a monetary gift, a golden apple bell, and a professional portrait by the Ball Studio. School district employees may nominate their colleagues each year by January 15. Selections are made by the Superintendent District’s Executive Team and awards are announced in the spring. View past Golden Apple Award winners.